Gorgeous! I will save this to my favorites to use as my desk top next Easter! Wonderful capture! Wonderful picture. Brings back wonderful memories of my mother and I creating our own Easter Egg creations in the kitchen. The colors on the eggs are so rich and intense. Great job!! Simple , yet elegant! Thanks for sharing the wonderful basket of eggs. chugunov.........D.J.C plzz add me to myspacce i have litle friends ! 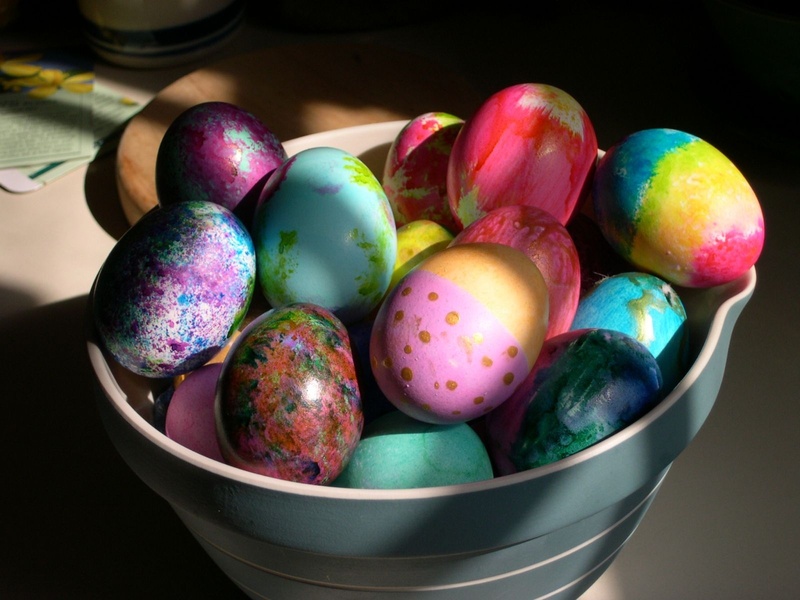 that's some serious egg dying skill right there! I love this. Only five days to go but I'll enjoy it until then. This brings back childhood memories like it was yesterday. On Orthodox Easter all the children would gather around and crack eggs to see who had the toughest egg. Thankyou for sharing a great photo.